Forms a strong waterproof seal by the simply pressing the 24" Flashband into place by hand, and roller. BE CONFIDENT TO USE 600mm DENSO FLASHBAND - IT WILL LAST FOR YEARS TO COME ! 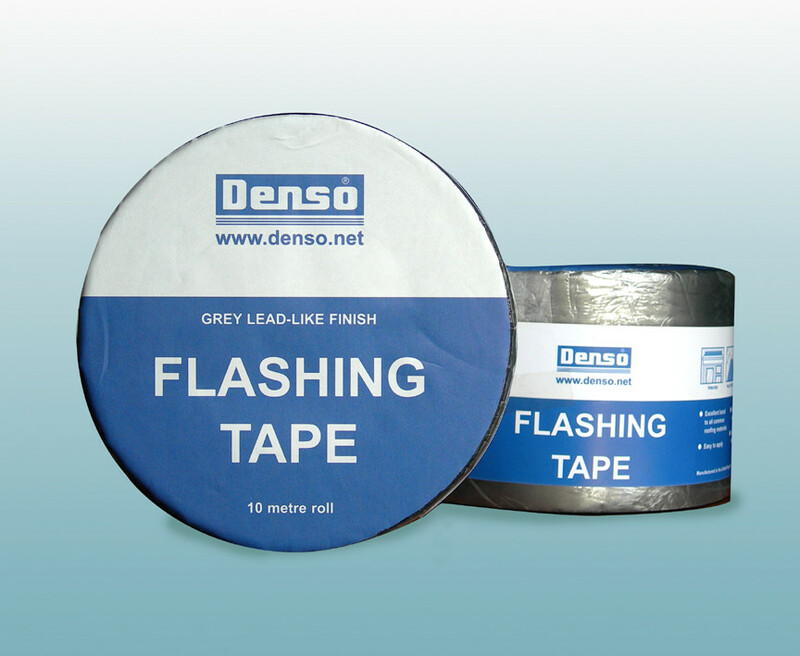 24" DENSO Flashband is not just temporary repair product, it is also used in NEW BUILD work. 24" Flashband Roll - High quality, self adhesive flashing tape, for general repairs, roof sealing work and new-build water­pro­ofing. 600mm Builders Flashband is lead coloured, crease resistant flashing tape, containing an aluminium-foil, with a smooth grey surface and adhesive black bitumen backing.